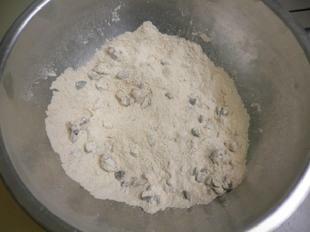 Sift whole wheat flour, salt, baking soda and powder together. 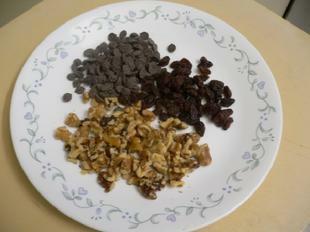 Gather and measure chips, walnuts & raisins. 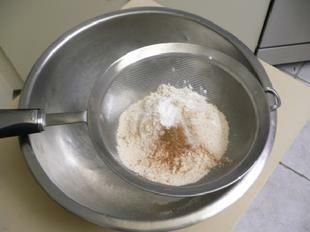 Place into bowl with the sifted dry ingredients. 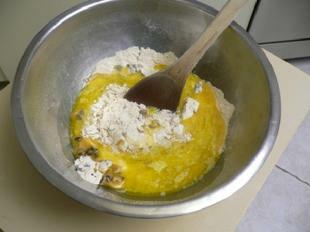 Use your fingers to mix and blend ingredients. 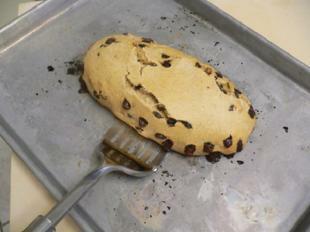 Be sure to separate any raisins that may be stuck together. 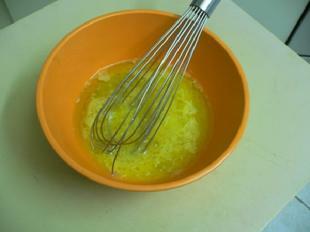 Whisk together eggs, oil and syrup. 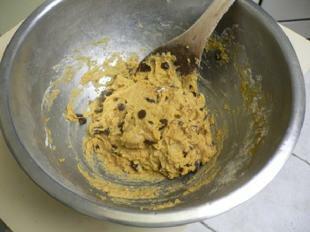 Use a wooden spoon to mix everything together. 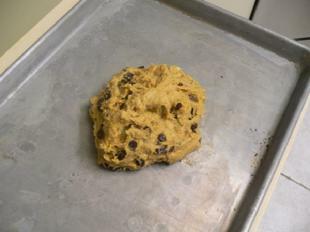 Using your hand, scoop the batter out of the bowl and place onto a dry sheet pan. 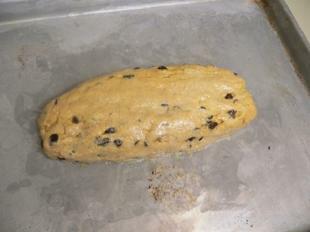 Lightly moisten your hands and press the dough into a long, thin loaf. Place sheet pan into the oven and cook for 30 minutes. 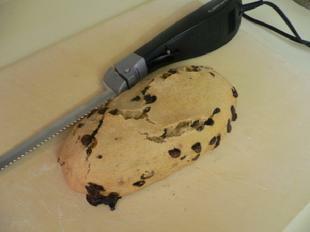 Use a sharp metal spatula to remove the cooked pastry from the tray. 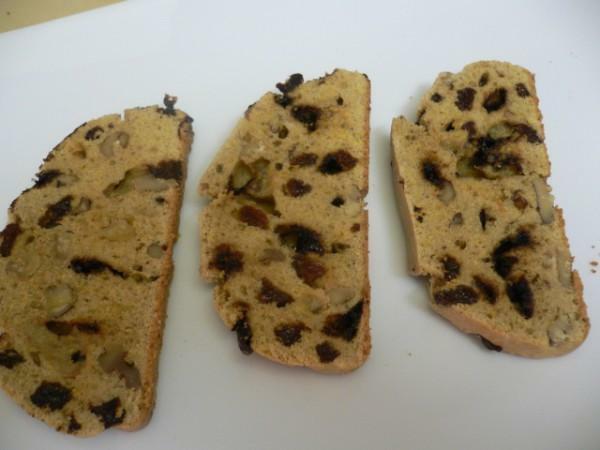 You will need a sharp bread knife or an electric knife to cut the biscotti. 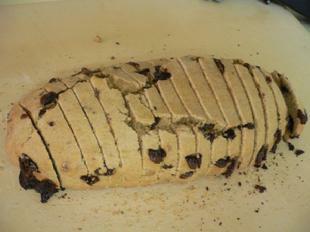 Cut the loaf into slices that are about 1/2 inch thick. 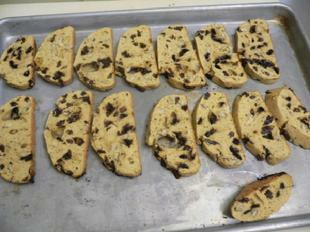 Place the biscotti slices back on the sheet pan and bake for another 10-12 minutes. Serve some and freeze the rest.